Kingsbury was founded by Katsuhiko Tanaka who sources and bottles primarily non-chill filtered Scotch whiskies with the assistance of Springbank's Gordon Wright. Glenrothes distillery was founded in the heart of the Speyside region in 1878. It is owned by the Edrington Group, who also own The Famous Grouse, The Macallan, Cutty Sark amongst others. 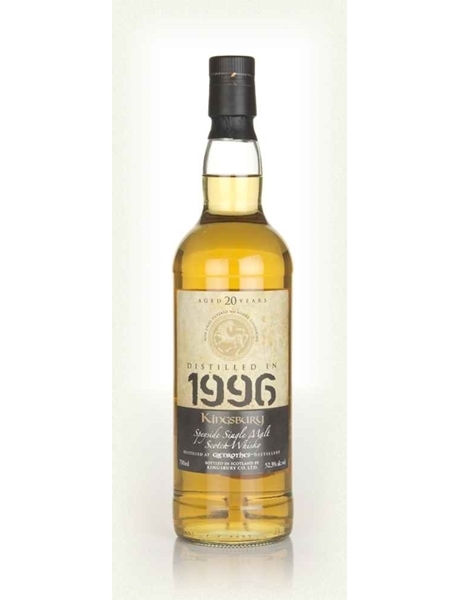 This Glenrothes single malt, was distilled in 1996 and released as a 20 year old. It has been matured in a hogshead cask and bottled at 52.3% ABV.